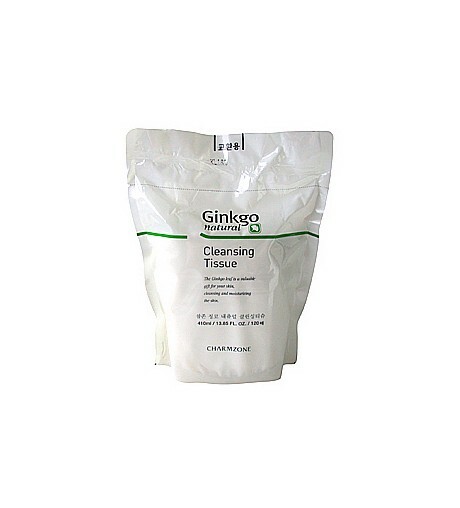 Excellent cleansing Tissue satured in Ginkgo extract to aid its ability to cleanse and rinse off with a pleasant feeling. Ginkgo leaves are used to soothe and calm irritated and delicate skin generating the skin cells for improved skin texture. Cleansing : It can completely remove your skin wastes and color makeup. Moisturizing : After cleansing, it leaves the skin moisturized and smooth. Relief : It helps to relieve the negative effects of skin stimulation after outdoor activities. This tissue contains ginkgo extract, wnich helps skin metabolism. 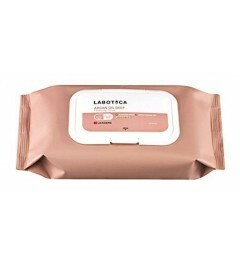 The tissue is manufactured to be neat and oil-free so that your skin will not be left feeling greasy and sticky. To Use: Take out a sheet of tissue from the pack and remove color makeup (especially around eyes and lips). Then clean off the entire face along with skin contours.